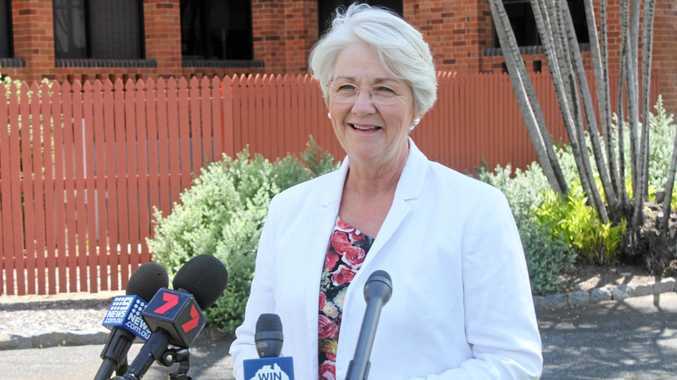 SEEING the Adani Carmichael mine project become a reality is a dream fast turning into a nightmare for Rockhampton Region Mayor Margaret Strelow. 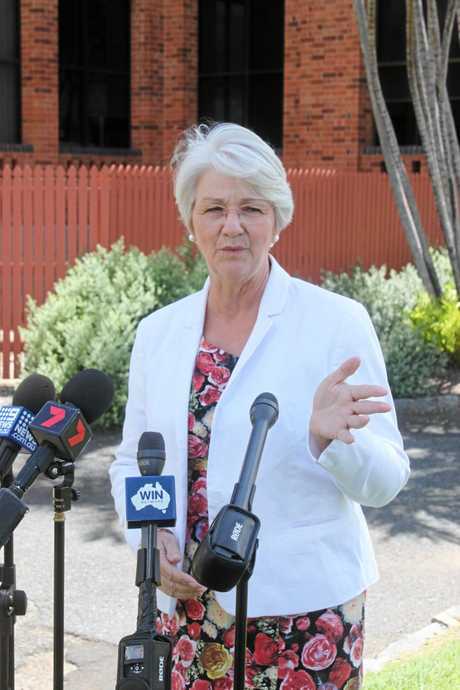 She was so determined to champion Adani's cause on behalf of CQ that she cast off her long-time Labor Party membership to run as an independent candidate in the last State Election. As someone who has bled Labor, it would have been infuriating to see her work towards securing the Adani Project being unravelled by comments like "I don't support Adani mine" made by Labor leader, and possibly the next prime minister, Bill Shorten, splashed all over the front page of The Courier Mail yesterday. Trying to get ahead of the media storm, Cr Strelow convened a press conference yesterday afternoon to chastise the man who could soon be running the country. "We have watched as Adani have met every requirement put in front of them," Cr Strelow said. "They've gone through hoops that no other project has had to go through. "And when Rockhampton got to the stage where we realised the cavalry wasn't coming and decided to back (them) ourselves, we stand back and watch a would-be prime minister try to shoot the horse out from underneath us." Cr Strelow said Labor's Adani stance was at odds with running coal miner Russell Robertson as a candidate for Capricornia. 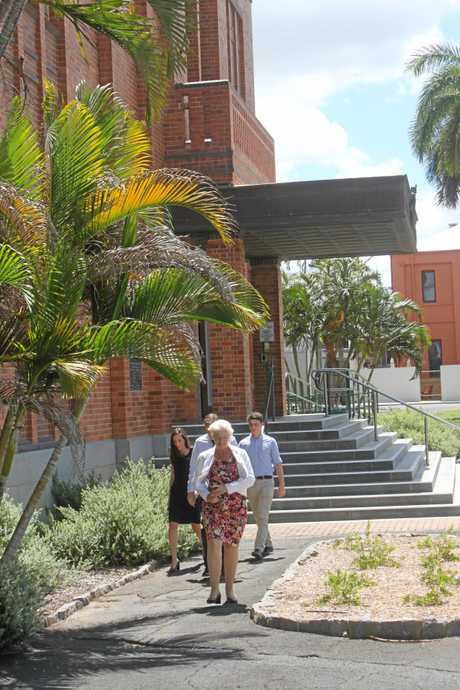 "Rockhampton will not fall for the ploy where Labor stands a pro-Adani candidate when the general direction of the party is heading in the opposite direction," Cr Strelow said. "What we have is some fairly weak-kneed politicians who have given in to what I see as intimidation. "We need to see the party of the worker, the party of the miners back this project for us, to see the leadership of the Labor party is strongly behind this project." The mayor reaffirmed her council's steadfast commitment to see the project succeed and backed the company "100 per cent". "Council has been prepared to step forward, we've backed ourselves, we have offered to put significant money on the line to win a very large number of jobs for our community. We're not pulling away from that,'' she said. "This is a project that we need, that we are supporting strongly, that the proponents believe they have a pathway forward. They are telling us they are confident, I'm putting my faith in that and trusting that these jobs will be here for our community, we need that to happen. "I have confidence that they know a direction forward for the project and we're with them." Cr Strelow recognised how extraordinarily tough the last six months had been for Adani as it sought to find a new way to deliver the project. "Council is really keen to see the Adani project get off the ground and begin. It's been delayed by activists, it's been delayed by one court case after the other. "They are up against forces that are quite extraordinary for an Australian project. "I think we should not underestimate the sort of pressure that is coming to bear, not just from the anti-Adani activists but now also from some of the politicians playing in the field. "The Adani representatives have conveyed to me their determination to keep going, I think they've read the landscape and found other ways to deal with the project and to get going and to get ahead." Cr Strelow said the time had come now for politicians who weren't backing in Adani to back off. "Now we are in a position where we really need to have our leaders understand this project is important to us," Cr Strelow said. "What we do need is for politicians who don't know the ins and outs of it or have other motives to leave us to create job opportunities for our community. "At this stage, what we have is an election process going on and an election still to be held to determine the future Prime Minister of Australia and we are believing and needing a Prime Minister who will get behind this project for Central Queensland." Throughout the Adani debate, Mr Shorten has maintained that although he's sceptical about whether the Adani project would materialise given the company's failure to meet seven deadlines, if it stacked up he would not stand in its way. "Labor has a very clear position. 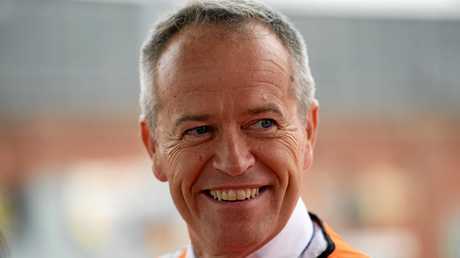 If the proposal doesn't stack up commercially and environmentally it shouldn't go ahead, but we won't engage in sovereign risk," Mr Shorten said. "And the reason why I won't do that is because I don't want to expose taxpayers in the future to billions of dollars in compensation claims." Cr Strelow was scornful of Mr Shorten's viewpoint on the matter. "It feels a little bit like the judge halfway through a court case saying 'we'll wait till all the evidence is presented but I think he's guilty myself'," she said. In a statement, Adani Australia welcomed Mr Shorten's comment that Labor would not seek to overturn the project's 112 existing approvals, which have been tested and upheld in 12 legal challenges. Adani remains confident it will obtain financing for the project and continues to progress the detailed design work for the mine and an associated railway.